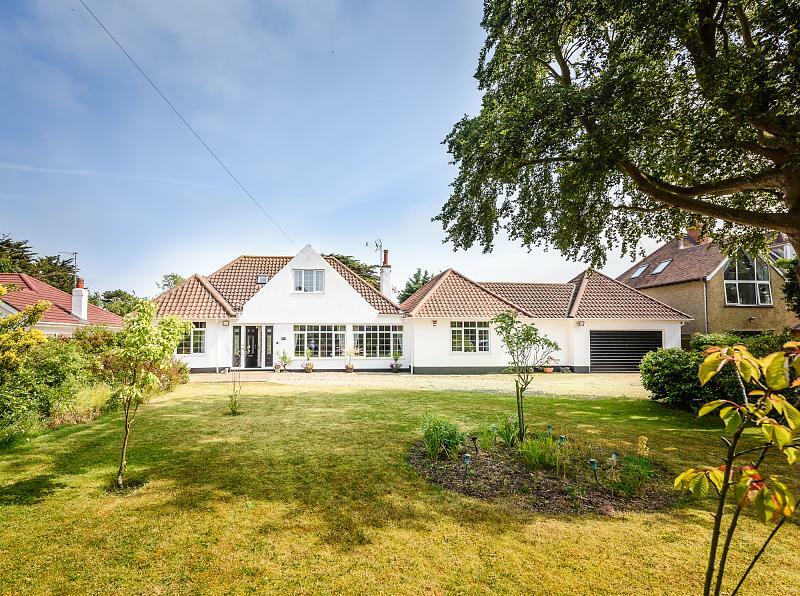 A beautifully presented fully modernised and refurbished executive home situated on this much sought residential road just 1 mile to the North of Lowestoft and being close to all local amenities. 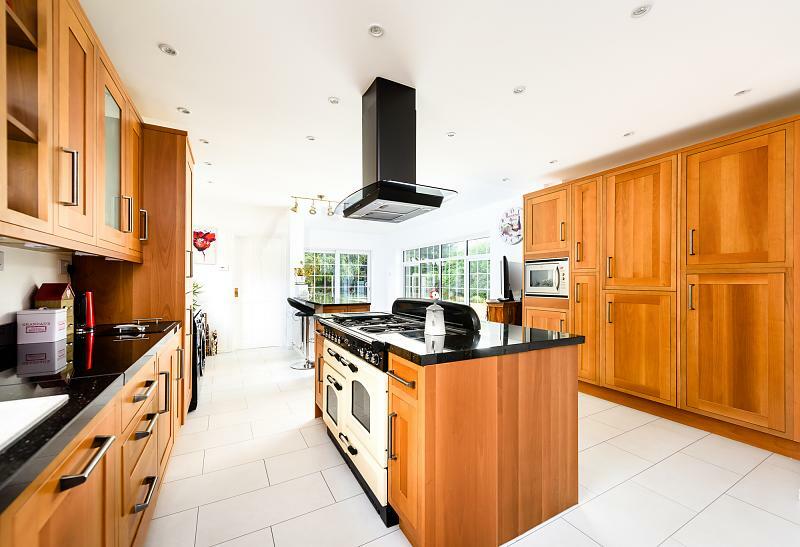 Set on a plot extending to approximately 2/3rds of an acre (sts), this stunning home provides large versitile accommodation planned over two floors. 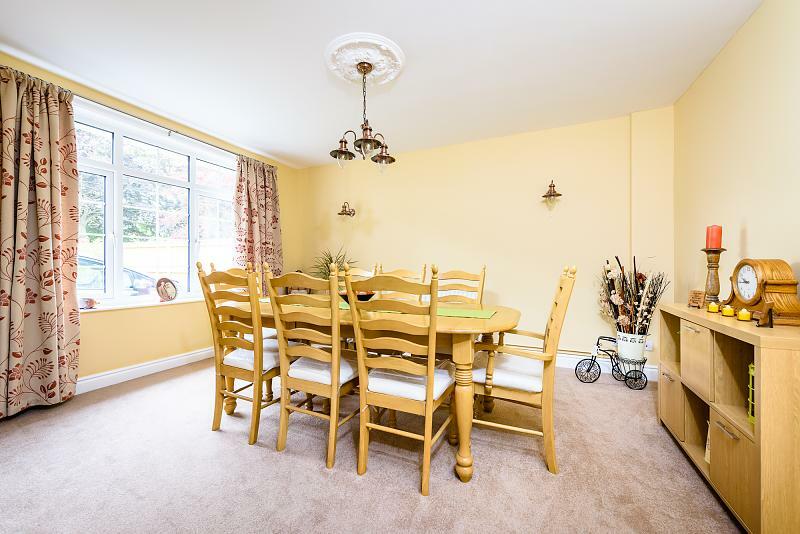 Which includes separate sitting and dining rooms, an amazing fully equipped kitchen/day room complemented by a sealed unit double glazed conservatory. 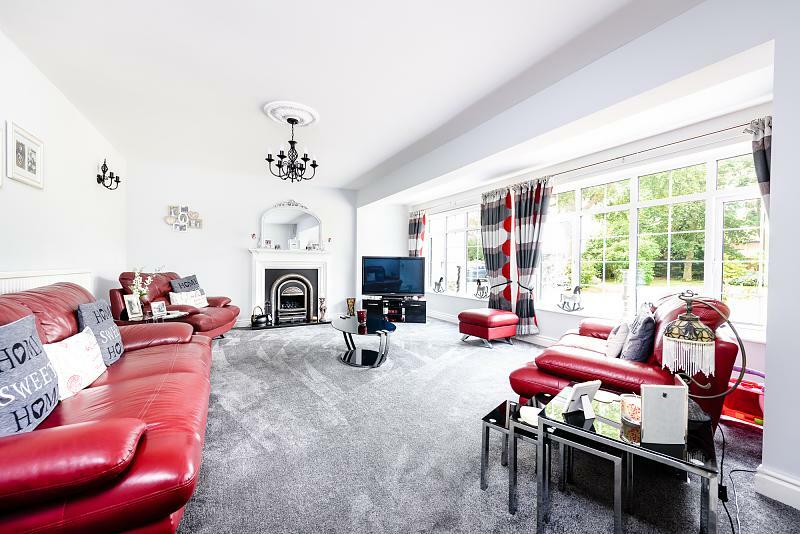 With 5 Bedrooms, the master of which has dressing room and en-suite facilities, the bungalow offers loads of potential for extended or 2 family living. 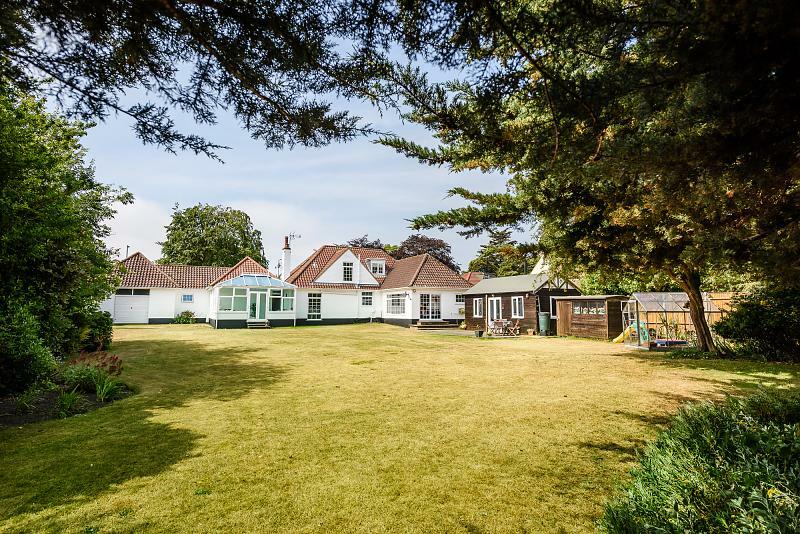 The mature plot affords perfect screening from the main road and seclusion to the rear ideal for outside entertaining. 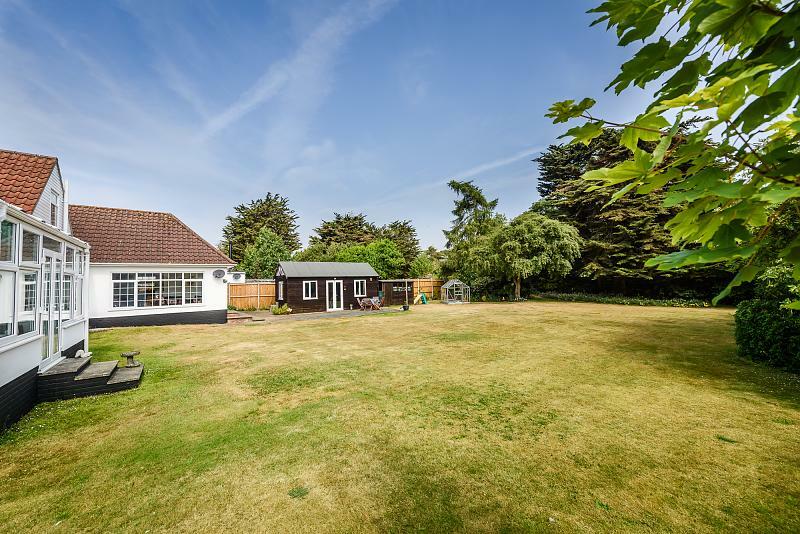 In summary probably one the nicest bungalows this agent has seen in over 30 years and an early internal inspection is a must. with wood effect laminate floor covering, radiator. 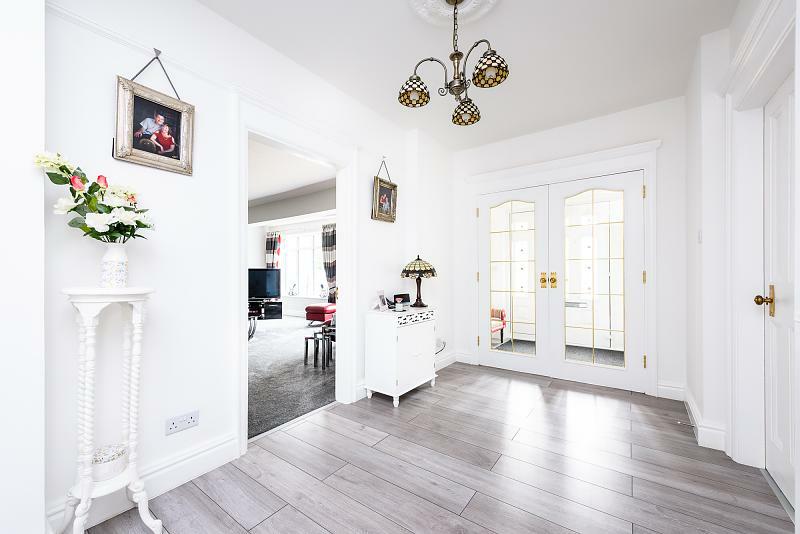 2 large sealed unit triple glazed windows, carpet, power points, radiators, coal-effect living flame gas fire sat in an attractive cast iron inlay with raised hearth with wooden surround and mantle, tv point. 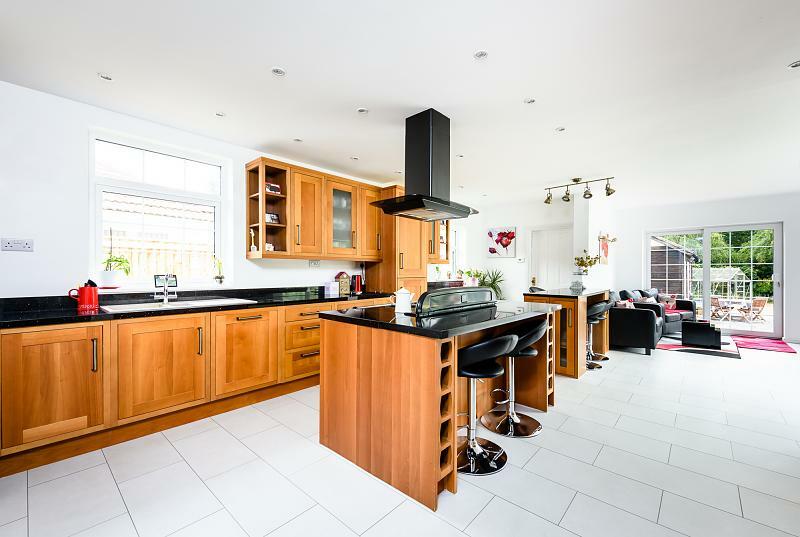 Kitchen area inset 1 ½ bowl sink unit set in solid granite work surfaces with cupboards and integrated dishwasher beneath, further solid granite work surfaces to side with matching cupboards and drawers, plumbing for automatic washing machine and space for tumble-dryer. Granite breakfast bar with cupboards beneath, central island with granite work surfaces with cupboards and drawers beneath, space for seating, wine rack, a range of matching wall mounted cabinets, sealed unit triple glazed windows to side, tile effect laminate floor covering, radiator, built-in integrated fridge and freezer, a full range of built-in larder cupboards, integrated microwave and integrated dishwasher. 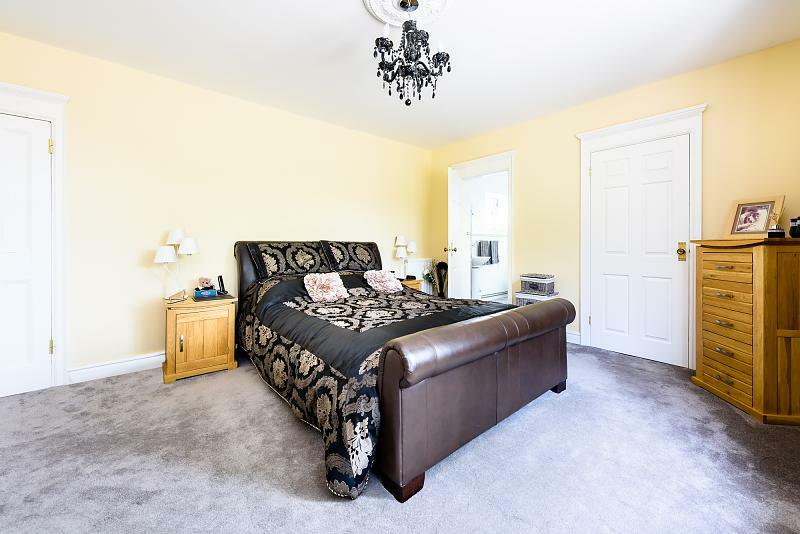 Day Room large sealed unit triple glazed windows overlooking rear garden, matching sliding patio doors, matching flooring, radiator. 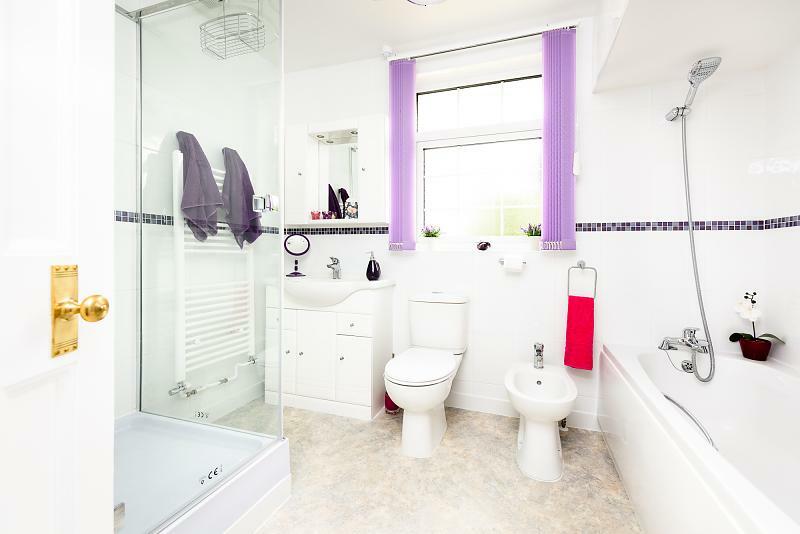 a white comprising off a panelled bath with chrome handc mixer tap with shower attachment, bidet low level wc, vanity wash basin with handc taps, cupboards below and above, mirror, spotlighting, fully tiled corner shower cubicle, fully tiled walls, vinyl floor lay, triple windows. Low level wc, vanity wash basin with handc mixer tap, sealed unit triple glazed window, fully tiled walls, radiator, built-in boiler cupboard housing gas fired boiler and pressurised hot water cylinder. 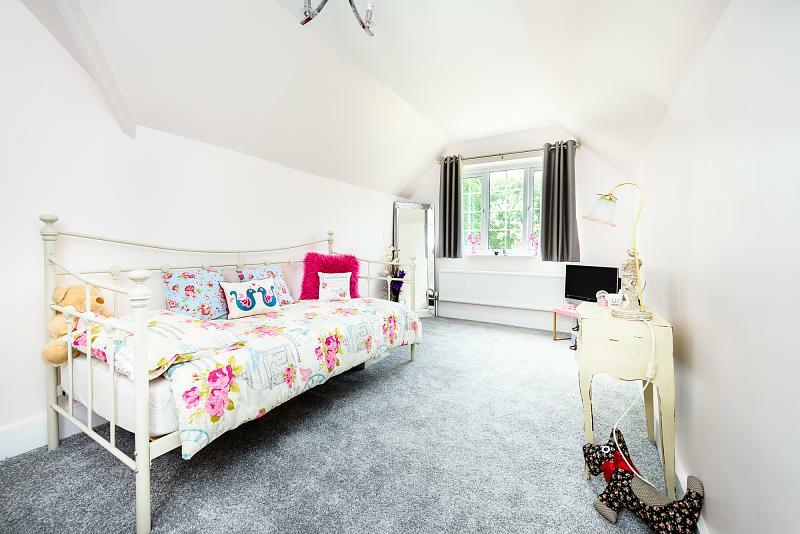 Carpet and carpeted stairs to 1st floor, linen cupboard. large sealed unit triple glazed window, carpet, radiator, power points, tv point. Double width walk in shower cubicle with chrome shower fitting with matching drencher, wash basin with chrome handc mixer tap, low level wc, fully tiled walls. sealed unit triple glazed window, shaver point, chrome heated towel rail/radiator, extractor fan. with spotlighting, power points, radiator, shelving and hanging rails. 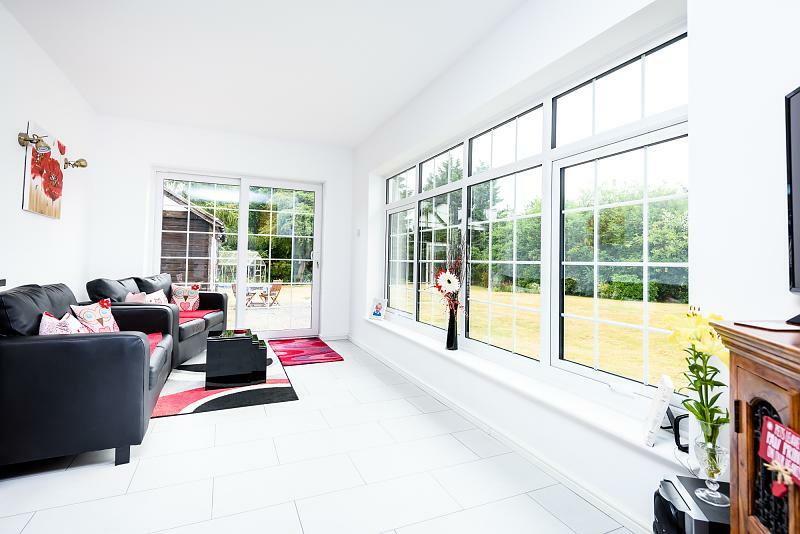 Carpet, large sealed unit triple glazed picture window overlooking rear garden. 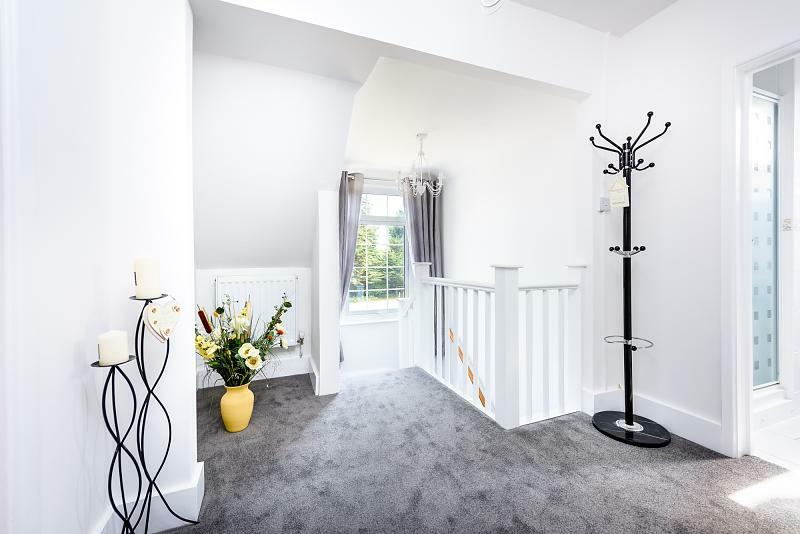 Carpet, radiator, large sealed unit triple glazed window overlooking rear garden, sealed unit double glazed velux skylight to front and side, power points, tv point, walk-in wardrobe. 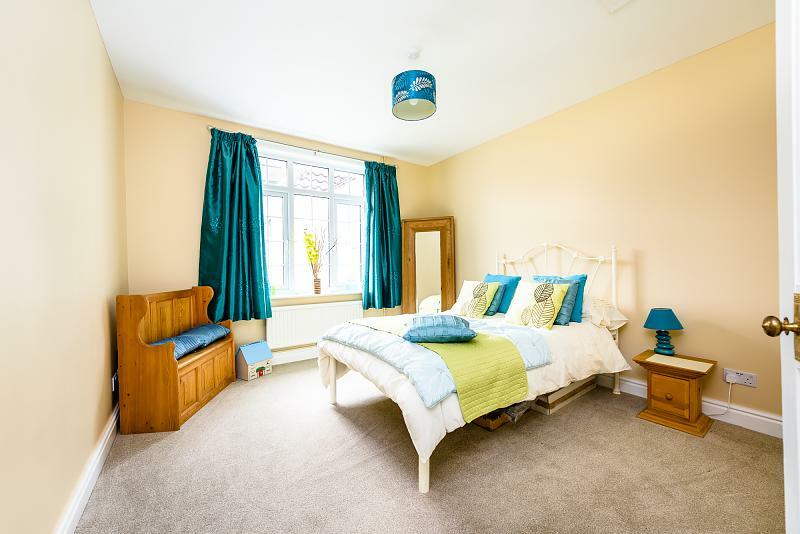 Sealed unit triple glazed window overlooking front garden, carpet, radiator, power points. Walk-in fully tiled shower cubicle with chrome shower fitting, vanity wash basin with chrome handc mixer tap with cupboard under, low level wc, fully tiled walls, sealed unit double glazed skylight, tile effect laminate floor covering, radiator, eaves storage cupboard, shaver point. Brick and pitched tiled roof, GARAGE with up and over doors to both the front and the rear, eaves storage space, lighting and power. 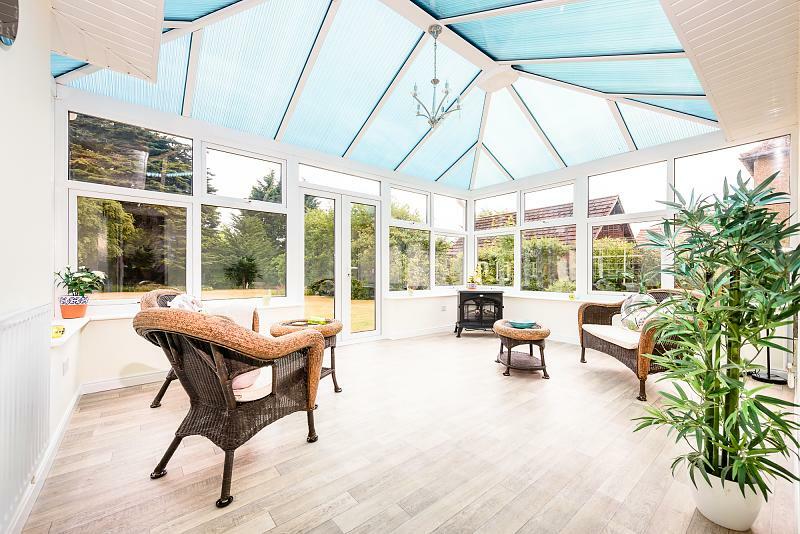 Secured side access opening to large fully enclosed secluded landscaped rear garden with central lawn, well stocked flower and shrub beds, large timber felt studio/workshop with sealed unit double glazed windows and matching French doors. Wide paved seating area, timber felt storage shed, greenhouse, inset mature trees, compost area, panelled fence screen.